Maison Vue Pyrénées will confirm reservation within 10 days of receipt by e-mail. The confirmation and invoice must be checked upon receipt for accuracy. Notification of any errors must be communicated by phone or email to Maison Vue Pyrénées immediately upon receipt. Our guests may use our pool. However, swimming is at your own risk. Children should never be without the supervision of parents or proper adult. Maison Vue Pyrénées does not monitor pool with a lifeguard and accepts no liability for use of the pool. Booking Amounts must be paid in two installments. 25% is due within 8 days of original invoice date. The remaining balance is due within 4 weeks before arrival at Maison Vue Pyrénées.If the entire amount is not received by us within this time period we are entitled to unilaterally terminate the contract and cancel the reservation without any form of refund. If booking within 4 weeks before the stay, the entire balance is due upon reservation booking. When booking the entire guest house, we get a deposit of 200, – EUR, on the day of arrival.Upon departure, this deposit will be refunded to you by bank transfer, provided that there is no repair/cleaning cost to offset it. For bookings of the guest house from 3 nights, a final cleaning fee of 60, – EUR is due at departure. a. If cancellation occurs more than 6 weeks before day of arrival, 25% of booking amount is non-refundable. b. Cancellation within 6 weeks before day of arrival, the full booking amount is non-refundable. c. If you choose to leave before booked departure date, the full booking amount is due. Check-In time is 16.00 h up to 20.00 h.
Check-Out time is 11:00 on day of departure. Force majeure is on the side of the Maison Vue Pyrénées. This is where the performance of the contract is in whole or in part, whether temporarily prevented by circumstances beyond the location of Maison Vue Pyrénées, including and without limitation to; war risk, staff strikes, blockades, fire, floods and other disturbances or events.
? get the neutralization or removal of equipment and technical failure or closure of facilities at Maison Vue Pyrénées. b. The tenant and those who accompany him or her, are severally liable for all loss or damage for Maison Vue Pyrénées, the site and / or any third party as a direct or indirect result of their stay, whether it was caused by act or omission of themselves or of others who by their fault at Maison Vue Pyrénées are, including any and all damages caused by any animal and/or subject matter they have in their possession during their stay on property. c. If tenant does not leave property in agreed upon state, and in good working order, then Maison Vue Pyrénées has the right to charge fees for cleaning or repairs as deemed necessary and return property in good working order. 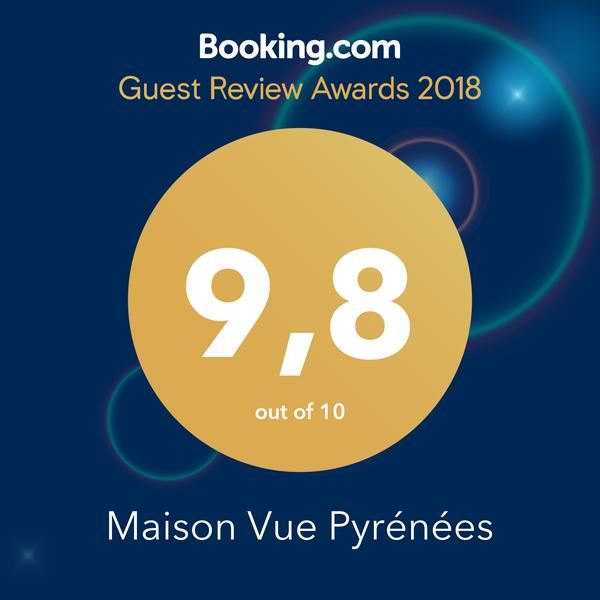 Despite all the care taken at Maison Vue Pyrénées, it may result that you have a legitimate complaint. Your complaint should be taken directly to the owners in order for them respond and resolve the situation immediately. 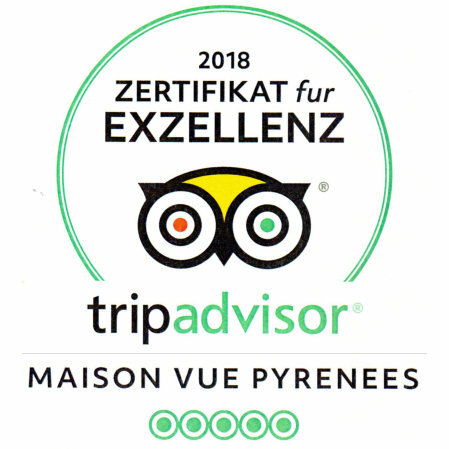 Visit must first report to Volker and Bettina, it is our responsibility to know who is at Maison Vue Pyrénées. Your agreement is made with Maison Vue Pyrénées, Impasse du Thomas, 32170 Sarraguzan,France. These General Terms apply to all reservations, directly or indirectly made by Maison Vue Pyrénées. We reserve the right to change our publication. However, obvious printing errors are not binding to us.